Thought I'd better post this under reviews, but it's quoted from the PSA thread about the e904 mics being half-price. - Springsteen tribute act, 6-piece, on a fairly small stage. - Bass amp had the graphic EQ set pretty awfully - +15dB at the low and high ends, on a 15" combo. What the mic picked up sounded something like what was heard in the room. So, I've had a listen through the recordings. It's a small stage so the cymbals got into most things, and the drummer's monitor got into the rest. Mic positioning was all pretty standard. Clipped on to the drums, aimed roughly 2/3rds of the way to the centre. On the cabs, somewhere around half-way between the dustcap and the edge of the cone. Pictures at the bottom. 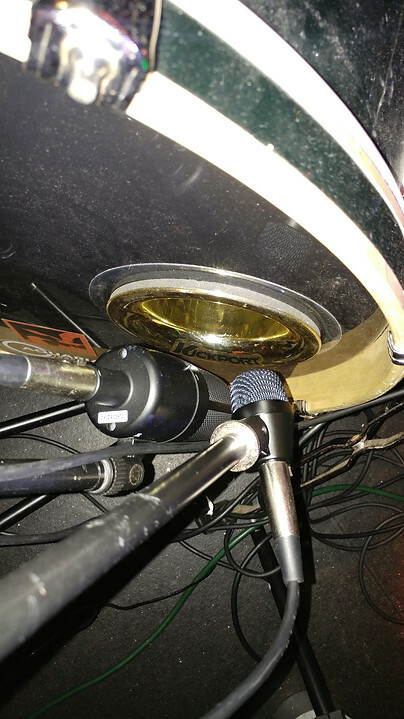 I wanted the guitar amp's mic closer to the centre of the cone, but was limited by mic stand dimensions and stage space. The latter was at a particular premium, with a 6-piece band on a stage around 12' square. - There's some missing low-frequency extension with the e904 compared to the kick mic I usually use (sE Electronics X1D, a large-diaphragm condenser). Running both through a spectrum analyser on Audacity shows the X1D has content at 32Hz as strong as 140Hz, and 16Hz is around 3dB down on both. The e904 has 32Hz 15dB down on 140Hz, and 16Hz around 8dB down on 32Hz, or 23dB down on 140Hz. That said, it's not necessarily a bad thing. I could take or leave either kick sound. The X1D sounds more "deep" while the e904 is more "punchy". Both would work live just fine, in my opinion, though the X1D means you've got the low-frequency information there if you want it. So, it'd work in a pinch, but probably wouldn't be my go-to kick mic unless I needed something with a really small form factor. You can bring out some more of the high-end "click" by boosting in the kHz range, and I expect the e904 would work well as an inside kick mic, too. - Toms sound great as they are. Clip them on, highpass filter if you're willing to expend the effort, push the fader, done. Nice balance of attack and body. Bleed from the rest of the kit sounds exceptionally natural, too - I had to double check to see if I'd left any other channels playing while cueing the toms. There's around 18dB level difference from the rest of the kit to when the toms are hit, so there's not a lot of bleed. It's just what bleed there is sounds good. 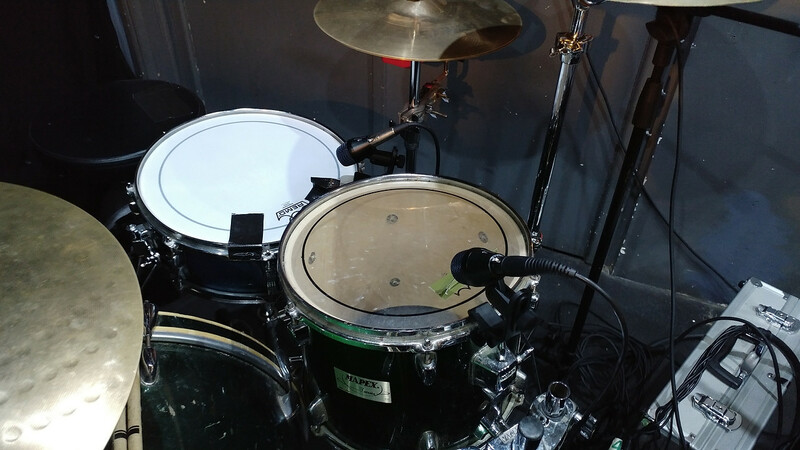 Floor tom has enough bottom end, though it wasn't massive - fundamental was just below 90Hz. - Snare's also great. Same story as the toms. Snare top, snare bottom, invert bottom, push faders. Done. Immediately sounds like the snare itself. You can leave both mics with the same polarity, but you lose the bottom fundamental of the snare, giving a sound that's thinner, but could be considered more "snappy". I wouldn't complain at either sound, but I prefer the fullness of the sound you get from running the bottom inverted. - Hi-hat works fine. The mic was positioned at the opposite side to where it's being hit, so there's not much stick attack, but the metallic bits sound good - no obvious lack of high-frequency extension. 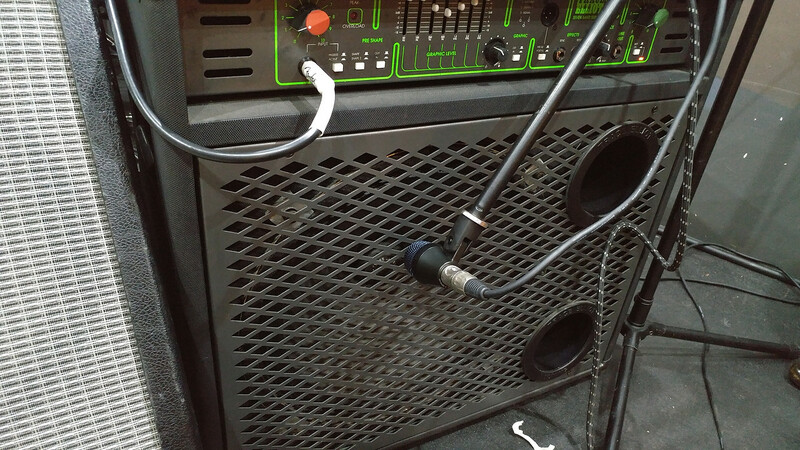 - The bass cab sounds as good as can be expected with the amp's EQ settings in place. I'm going to reserve judgement on that until I've had chance to use it on an amp that's set up nicely. 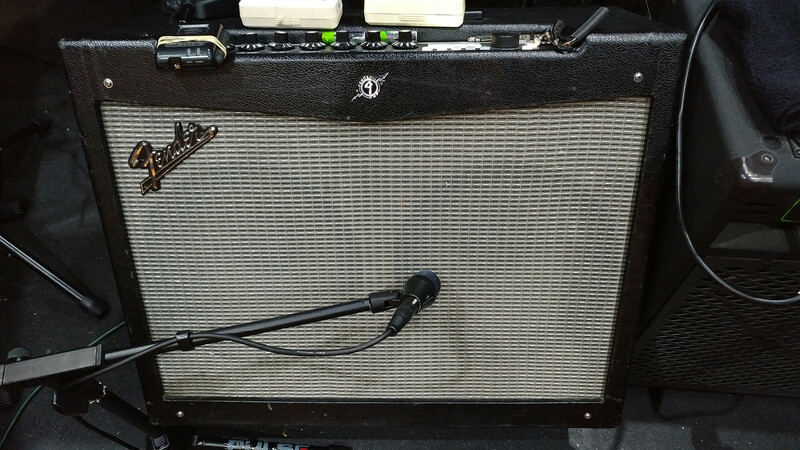 - Guitar cab sounds fine. Could be sculpted if you wanted more "edge" on the distortion or whatever, but sounds like the guitar amp from the off. Bit of bleed from the cymbals that happened to be 3' away. - For me, the absolute standout is using an e904 as an overhead. It works really well - you get a really good overview of the drum kit (with plenty of the drummer's monitor, of course, as he had earplugs in and wanted it turned up). Blend in the kick and you've got a natural-sounding perfectly-mixed kit sound. I'm genuinely amazed at how well this little mic picks everything up. Take the drum parts of Springsteen's Jersey Girl, for example. It's all there. All the bits on the toms, ride cymbal, rim shots on the snare, etc etc. I really hope someone tries this to confirm I'm not going crazy here. Really quick demo recording of a ukulele in a pub in Sheffield. e904 was around 3-4" out from where the neck meets the body, a little above the instrument pointing 45-degrees downwards so it was pointing at the middle strings. Desk was a QSC TM16, analogue gain all the way up. Apart from normalising the track so it hits 0dBFS and converting to MP3, there's no processing at all. Not even a highpass filter. Plenty to work with there IMO, and with the monitors firing at the side of the microphone there was still enough GBF to hear the monitors over the instrument. I expect that with the mic angled so it was pointing directly away from the monitors, there'd be even more GBF on offer. Acoustic guitar (obviously), can't remember the mic positioning though - probably around 6" away for a guy standing up with it and having a bit of space to move. There was quite a bit of monitor spill when he started singing, but the vocals were pretty loud and it wasn't exactly close-micing. - Bleed from nearby instruments sounds good. The cymbals were around 18dB down on the toms, and both sounded good. - They have a nice flat response which means they've worked well on pretty much everything I've tried them on (kick drum being the only thing I'd hesitate to use them with), without much/any work at the desk. - Try one for overheads - you might be surprised.